I have been dabbling in yoga since I was 12 years old and my best friend and I stumbled into a yoga studio at the Glen Center in Los Angeles. Later, I became a devotee of Bryan Kest’s PowerYoga in Santa Monica while I was in law school — and then I took a long break from the practice. I just couldn’t get into the headspace and mode again, as I felt like an exertion of kinetic energy (a la Billy Blanks, kickboxing and taekwondo) was the motion I needed. But then I tried Bikram Yoga and I loved the motions, the 26 poses and the sweat in the 105-degree Fahrenheit room (combined with the 46% humidity). But I just couldn’t get over the smell and the zero inch of personal elbow space. So I was off the yoga tip again. Then about three years ago, a friend from taekwondo suggested I try hot yoga again. She attested to the benefits and swore that it would help ease any body pain I was feeling and increase my range of motion which I started suffering from my torn ACL. Hot yoga is a style of yoga which is a practiced in a heated and humid environment. The benefits of hot yoga are ooh and aah worthy; they transcend both the physical and mental realms. I laid out all the pros for you to read — (as well as some risks) so you could make your own decision about whether you wanted to delve into the practice. Here are the physical benefits that I can personally attest to. Being in a heated room allows your body to go for that deeper stretch. Weight loss is inevitable – and it helped me shake off the last 3-5 pregnancy pounds that weren’t budging. Physical: Not only will we burn fat through holding these sweat-inducing poses, but we build and lengthen our muscles. And as we know, when we build muscle, our metabolism is kicked up a notch and we are burning fat all day. Mental: The stress reduction aspect does wonders to aid in weight loss. When we undergo stressful days or events, our adrenal glands secrete a hormone called cortisol. It is this hormone that counteracts all of our attempts for weight loss. It puts us in a fight or flight mode — so we hold onto our body fat for storage. This is a great natural way to reduce the appearance of cellulite. Sweating helps clean the lymphatic system (which is why foam rolling is also great for cellulite reduction) — so it’s a no more cottage cheese win! And the obvious pro is all the mental benefits you get from the practices. Stress relief and so on. The stress relief and sense of accomplishment is immeasurable. There is no better feeling than having your pores open, dripping sweat and everyone in the room next to you feeling that same euphoric high. Your legs are limber and your body is loose. All the tightness that you walked in with has been lifted away. When stress levels reduce, cortisol levels reduce. And we all know what that means. Weight loss and a smaller waistline. To no one’s surprise, hot yoga has been shown to reduce negative thoughts, emotional eating and help with depression. Harvard has even put out a study that showed that yoga alongside traditional medicine has been proven to help reduce levels of depression. Two studies of Bikram yoga, a specific series of 26 poses done in heated rooms, found that over eight weeks yoga reduced depression symptoms. From the practice of yoga (regular or hot yoga), you engage in meditation and improving presentness. I have found that this kickstarts my will and determination, focus and ability to push through any difficult situation. This is why practicing yoga is so crucial especially if you have a stressful job and personal life. It’s like having a facial every day. Your pores are open and you sweat out all of your impurities and debris from the inside! Always be sure to have a clean towel to wipe off your sweat — and then wash your face with a cleanser and water after your practice. Yoga is the integration of mindful breathing with movement – and the combination of the two allows for the building of strength, stamina, flexibility. It provides physical and mental balance and nurtures our physical and psychological well-being. There are varying opinions on whether the hot yoga has greater benefits than regular yoga. I can answer that based on personal experience — and for me, the answer is yes. It has made me more mindful in my poses, it has increased my flexibility and athleticism, it has lengthened my muscles – and it has allowed me to drop weight in a way that regular yoga hasn’t been able to. There is not enough evidence to recommend which style of yoga offers up the best benefits; so it is more important to choose a style that fits your body and preferences. Consistency is key to reap the benefits and reduce risk of injury. 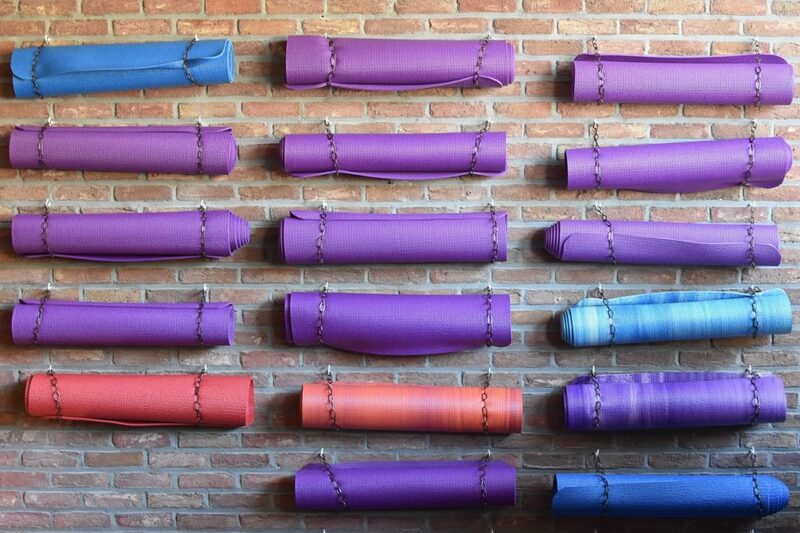 This is not a news flash — but hot yoga studios are extremely hot. You can become dehydrated in a matter of minutes and it’s easy to overexert yourself as well as injure yourself since you’re extra pliable. It’s crucial to breathe, drink water continuously – and relax in child’s pose if you’re feeling dizzy or overheated. If you have hypertension, I would stick to regular yoga. The rise in temperature can cause a rise in blood pressure. + And there you go! I love my hot yoga practice! To be honest, it was a little tortuous for me for the first one or two classes – but now I’m hooked and I’ve never felt stronger! by ELAINESIR March 3, 2019 March 6, 2019 .
by ELAINESIR November 3, 2018 November 4, 2018 .
by ELAINESIR October 18, 2018 November 4, 2018 .
by ELAINESIR September 16, 2018 .
by Ryann Perlstein August 23, 2018 September 6, 2018 .